Home » Ask The Trainer Blog » Nutrition » Supplements » How Does Adrafinil Affect Your Workout? Exercise is a bodily activity that plays a huge role in physical fitness. It improves virtually all aspects of your health and reduces your risk to acquire chronic diseases. In fact, many studies have shown that people who exercise regularly are much more likely to be happy than those who don’t. Whether you are working out to build muscle, lose weight, or stay fit, you always want to get the most out of all your workouts. You don’t want to be one of those people who are in the gym for months with no results to show for it. Nootropic supplements like Adrafinil could help you get the best out of every workout session. BestNootropicsNow offers reliable and comprehensive information regarding such supplements. In recent years, more people have come to understand the benefits of nootropic supplements when it comes to physical fitness. Some nootropics are known to boost cognitive functions. Others also enhance your energy levels, which can be very useful during workouts. Adrafinil is one such supplement. But, are there drawbacks to relying on Adrafinil? 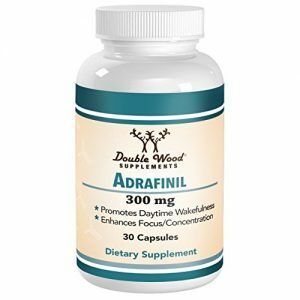 Adrafinil mainly affects your adrenergic system. It is the part of your nervous system responsible for releasing adrenaline. Whenever adrenaline is released into your body, your energy levels and alertness go up. Adequate sleep is vital for people who work out. Since Adrafinil increases wakefulness, it can disrupt your sleep patterns if you use it too close to your sleeping time. When you are unable to fall asleep at night, you are likely to struggle with drowsiness during the day which will affect the effectiveness of your workouts. As you take more Adrafinil, you would likely have a reduced appetite. It will have an impact on your workout since your food intake helps with the energy you need to do physical activity. Prolonged loss of appetite will also lead to weight loss, albeit in an unhealthy manner. Since Adrafinil is likely to increase arousal, it might end up causing changes in your blood pressure regulation. When blood pressure is too high or too low, your workout will be affected. That’s why it’s always important to check your blood pressure if you are taking this supplement. Some users have complained of increased muscle tension. Muscle tension causes stiffness, pain, and cramping, all of which are not great for your workouts. If you are feeling any tension in your muscles, you may want to lower your dosage. Although this is harmless for the most part, it can have severe effects on some people. Individuals with heart conditions are advised to seek professional advice before taking the drug while working out. To get the maximum benefit from your workouts, you must have all the necessary conditions for a good workout. You must have adequate rest and proper nutrition, among other things. Although supplements like Adrafinil may give you the adrenaline rush you need to exercise, you must first consult a professional to know whether Adrafinil is really for you.